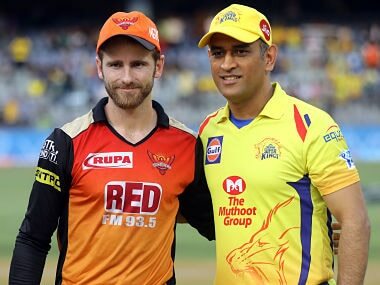 Mumbai: Nerves will play a big role as two title-hungry outfits, Chennai Super Kings and Sunrisers Hyderabad look to outdo each other and regain the coveted IPL crown when they square off in what promises to be a humdinger of a summit contest on Sunday. The winners-take-all T20 final, in front of a capacity crowd at the Wankhede Stadium, will see Chennai Super Kings, who are gunning for their third IPL crown, take on 2016 winners Sunrisers Hyderabad five days after their first playoff game at the same neutral venue. These two southern rivals met at the bull-ring on 22 May in Qualifier 1 in which the Super Kings, champions in 2010 and 2011, just about managed to ward off their rivals in a low-scoring thriller after looking down in the dumps at one stage during the run-chase. 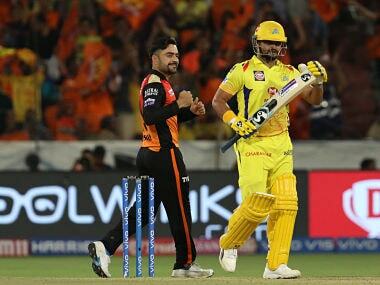 That victory, by 2 wickets, enabled the Super Kings to enter their seventh final in nine attempts directly, while dumping their Hyderabad rivals to their third successive defeat in head-to-head contests this season. 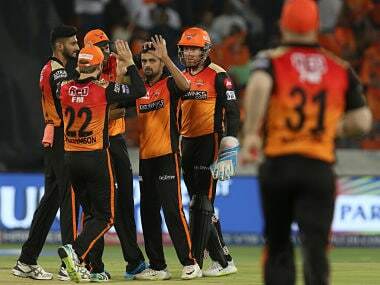 Sunrisers had to travel to Kolkata to book their final berth after knocking out two-time former champions Kolkata Knight Riders by 14 runs in Qualifier 2 on Friday night. 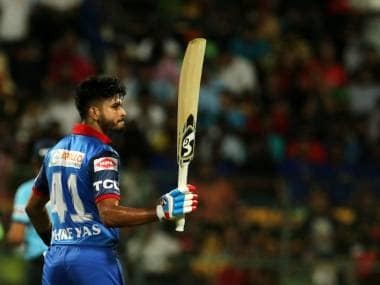 While the Super Kings were blessed with a four-day break in between their two games, Sunrisers will be hoping that their winning momentum will help overcome the tiredness of travelling to and from Kolkata and playing their third game, which also happens to be the championship-deciding one, in seven days. Afghanistan leg-spinner Rashid Khan, who came up with a sensational 3 for 19 stint on Friday apart from scoring a rapid-fire 34 in ten balls and then taking two catches and effecting a run-out, had troubled the Super Kings with a 2 for 11 burst in the first qualifier. CSK got out of the jail courtesy the calm and assured innings of 67 not out from South Africa skipper Faf du Plessis who played the game only after Sam Billings was ruled out due to injury. The Super Kings batting was left floundering at 62 for 6 with Rashid taking out danger men skipper Mahendra Singh Dhoni and Dwayne Bravo. He nearly had du Plessis too before the latter reviewed a leg before decision successfully and stayed till the end to guide Super Kings home. 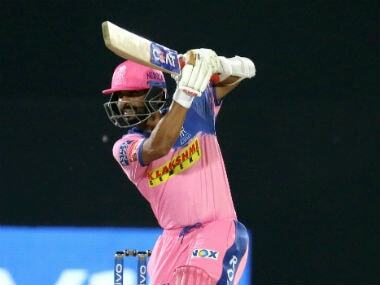 The talented leggie, who has been described as the best T20 spinner currently by Sachin Tendulkar, again looms as a huge stumbling block for the Super Kings' strong batting line-up. He will also have back up, from medium pacers Bhuvneshwar Kumar and Siddharth Kaul. Super Kings will also be wary about the match-turning all-round abilities of Carlos Brathwaite, the hero of the Caribbeans title-winning contest in the 2016 World T20 Championship. 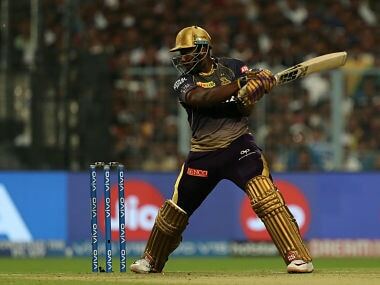 The big West Indian shone with the ball at the death against KKR after his blistering innings of 43 not out against CSK at Wankhede. Sunrisers will, however, need captain Kane Williamson to get back into the sort of stupendous form he exhibited in the league stage, along with India opener Shikhar Dhawan, to improve their title-clinching chances. Their middle and lower order have not really been firing barring the odd game. Super Kings had depended a lot on their top order of Shane Watson, Suresh Raina and Ambati Rayudu in the round-robin stage of the tournament, apart from Dhoni's finishing flourishes. With du Plessis and Bravo too in the mix, and Ravindra Jadeja, Harbhajan Singh and Shardul Thakur having the ability to play cameos, the batting looks formidable. Harbhajan, strangely, was not given a single over when the two teams met in the first playoff game and needs just one wicket to complete 50 IPL wickets at this ground which was his home ground when he played for Mumbai Indians in the first ten seasons. 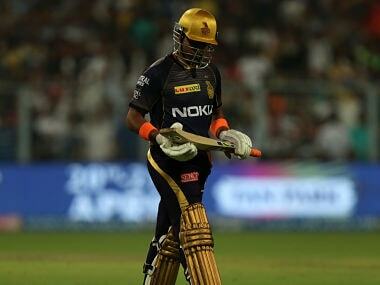 The Super Kings' bowling attack also has a well-oiled look, giving them a more rounded visage.